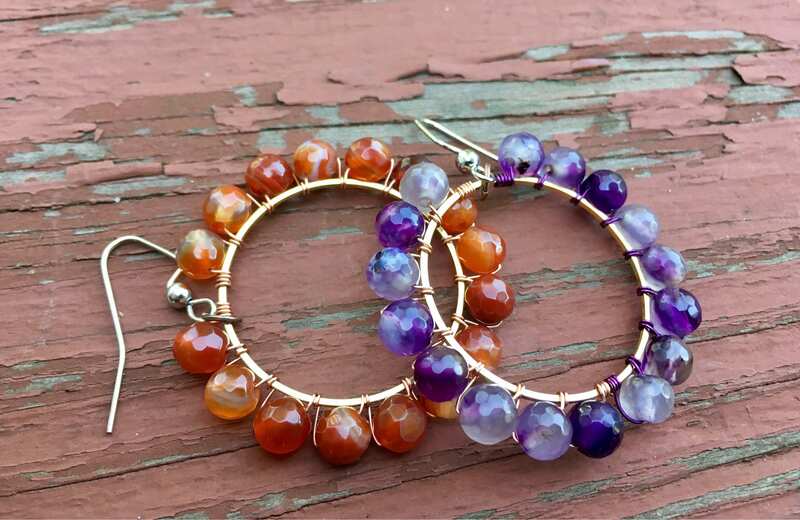 Purple Faceted Agate wire wrapped chandelier earrings. 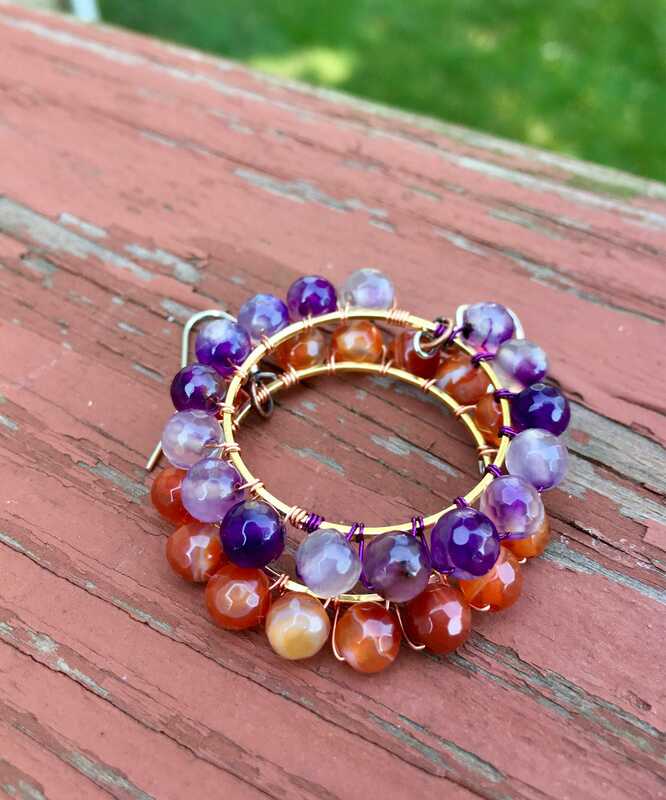 To change things up, both brass & purple wire were used to make these. The beads are 6mm & The size of the brass plated ring/hoop is 30mm. Just to give you a visual idea, a quarter is 25mm. 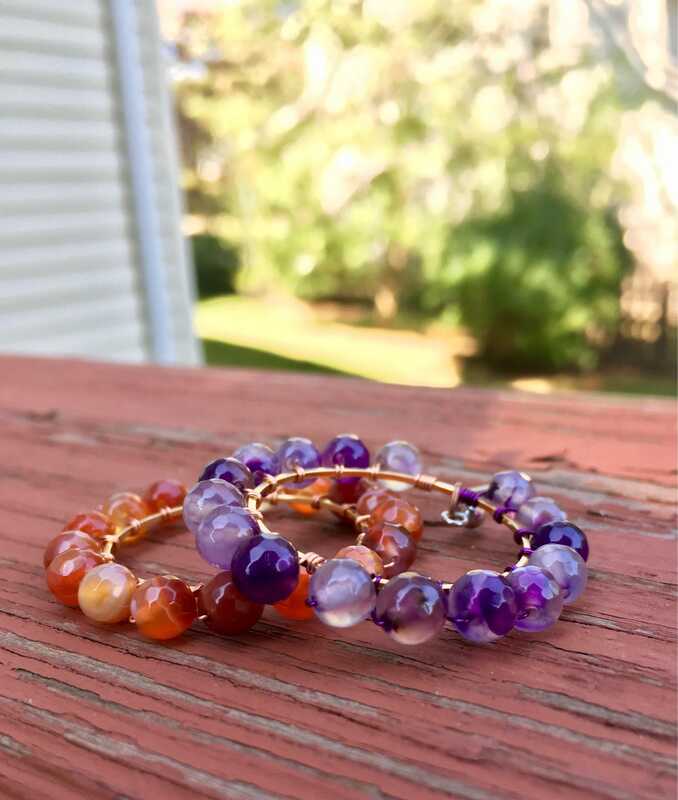 Love love love these- both beautiful & versatile! Not to mention nice & light on the ears. As always, these come with the nickel free ear hooks for those with sensitive ears. 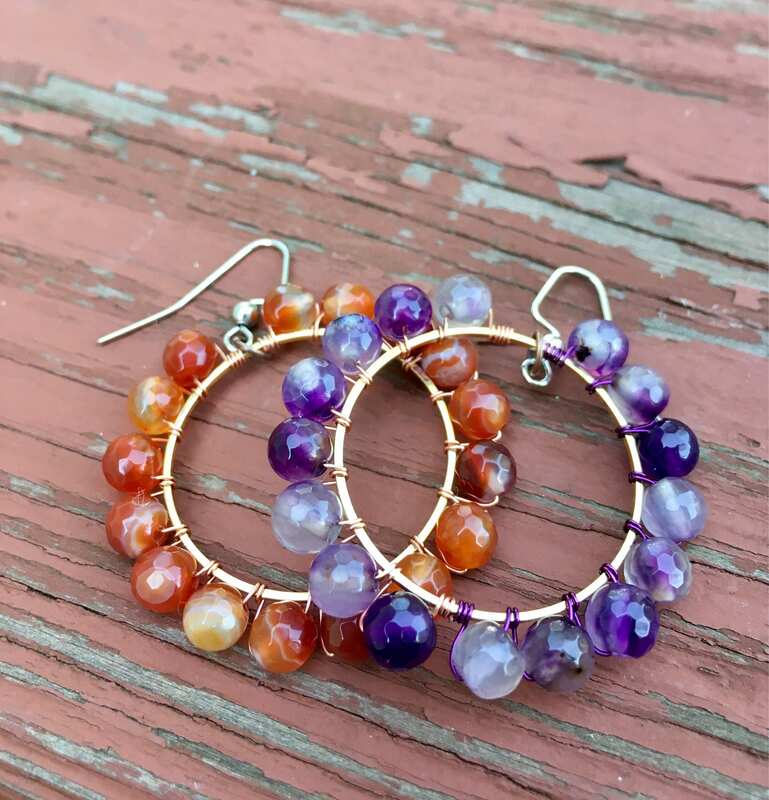 **This listing is just for the purple earrings not orange. 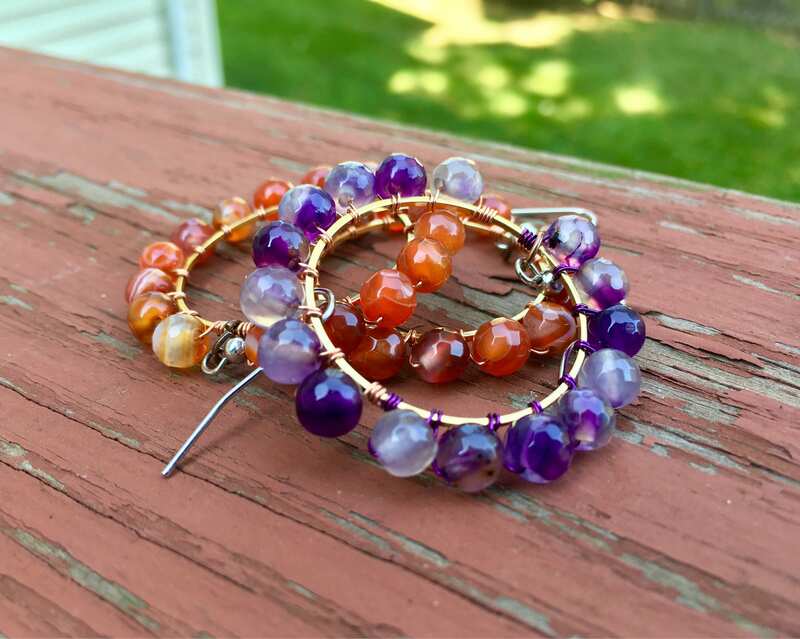 You will receive a whole pair even though there is just 1 single earring in the photo.